I took yesterday off work to take my little brother on a long hike. 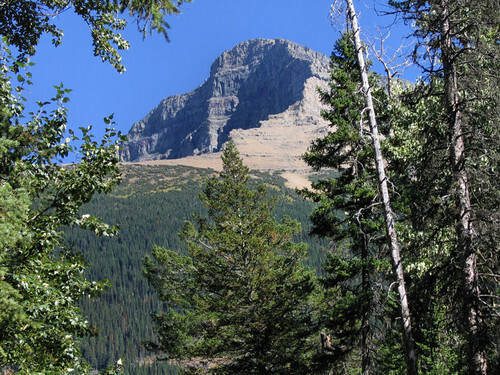 because all the high elevation hikes are still in poor condition with avalanche warnings, we decided to do Goat Haunt, a hike that runs into Montana’s Glacier National Park. Thinking the hike was only 7km, we had planned on going there and back. We left at 1pm. It turns out the hike is a little over 11km one way. The first half of the hike was gorgeous! 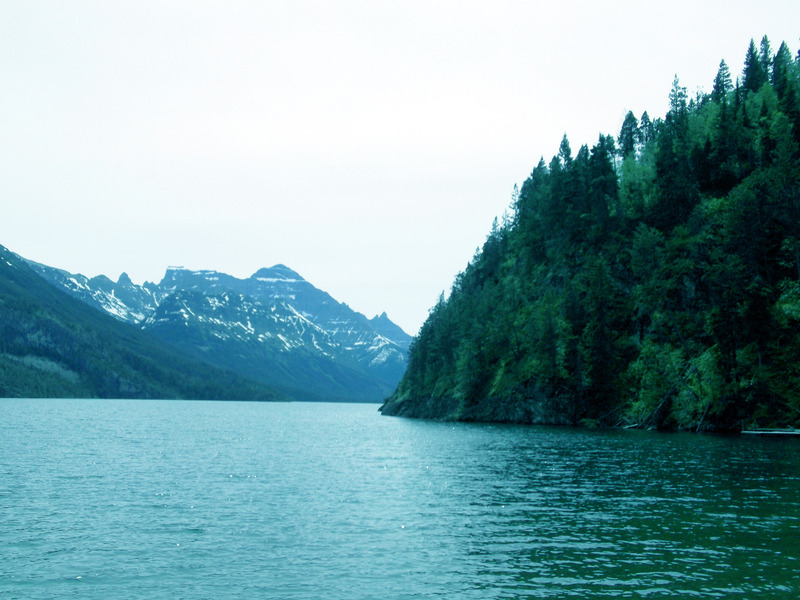 There were all kinds of cool views down Waterton Lake. 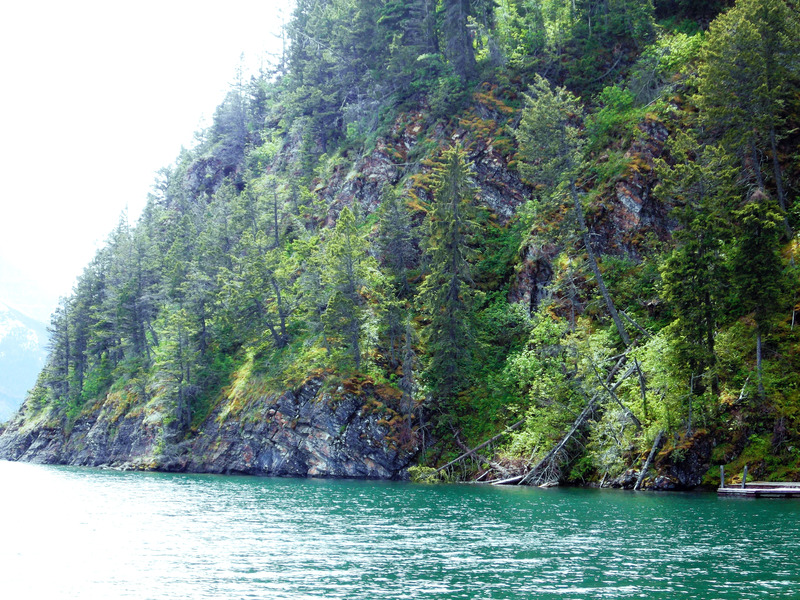 We stumbled upon a beautiful cove next to the Bertha Bay campsite. It reminded me of the West Coast the way the tree covered cliffs descended into the water. 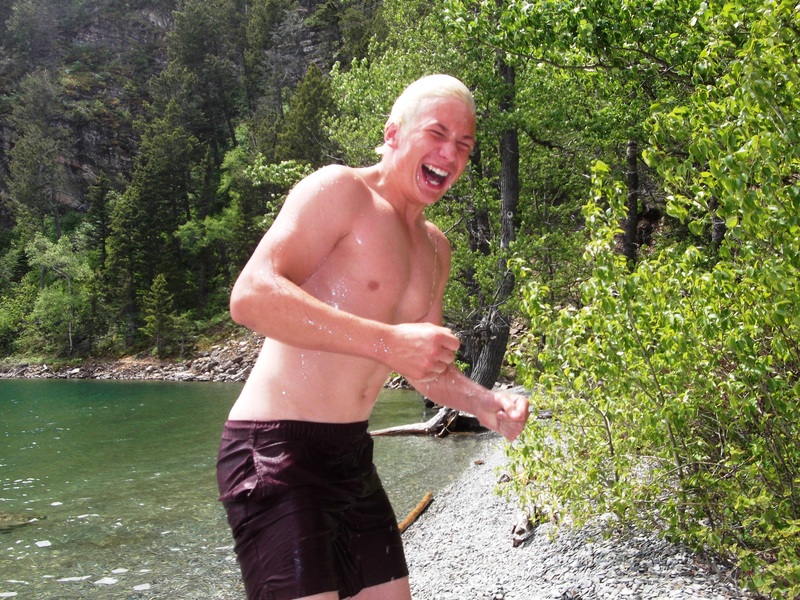 My little brother decided to go for a quick swim in Waterton’s freezing waters. Right next to the cove is the only uphill climb to Goat Haunt. 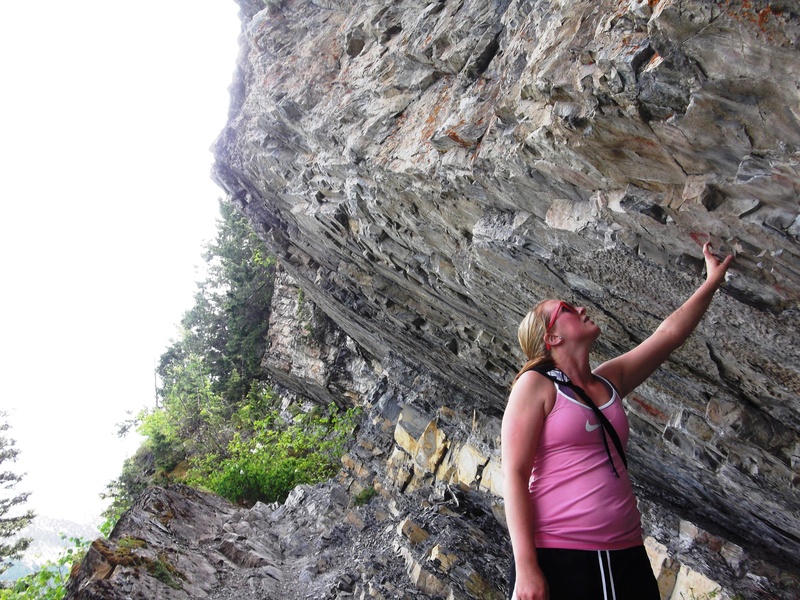 It was through a trail blazed along a cliff overhang. There were tons of streams running across the trail as there is a lot of snow on the peaks still melting. My camera battery died at the border which I was really upset about because there was some great scenery. I stole some shots from a Facebook friend and a few from Google to complete this posting. 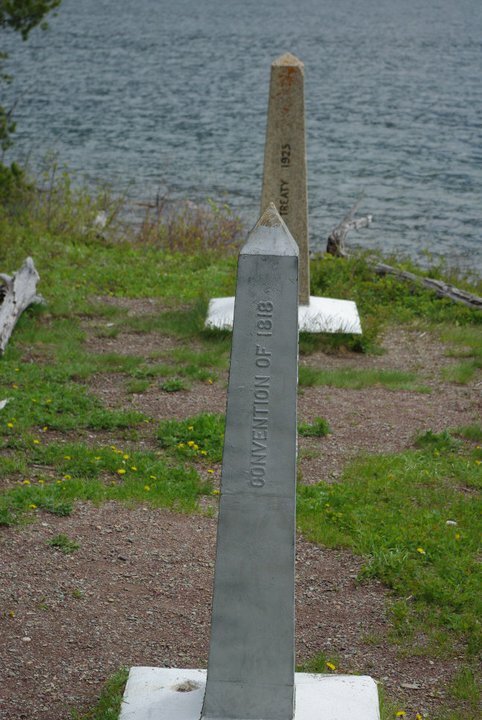 The markers show the border, as well as a very distinct clearing that runs up the mountains on either side. Right after the border crossing was this gorgeous, turquoise coloured river making its way to the lake. After the river we walked through a meadow with stunning views of Mt. Cleveland. However, after that first section of the U.S. hike, it got very, very boring. Just a typical every day hike , surrounded by trees with occasional glimpses of mountains. A half mile before the Goat Haunt Range Station we had to cross a suspension bridge. 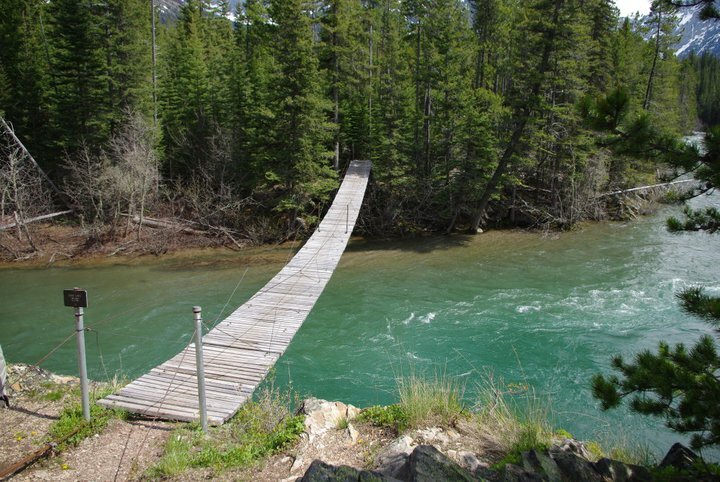 It wasn’t rickety or anything, very solid, but I was still very excited to cross my first extension bridge ever. 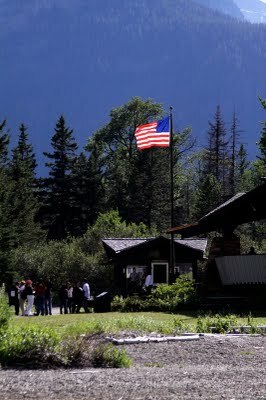 Once we got to the ranger station we checked in and I got a souvenir stamp on my passport. But when we asked what time it was the ranger told us 5 o’clock! 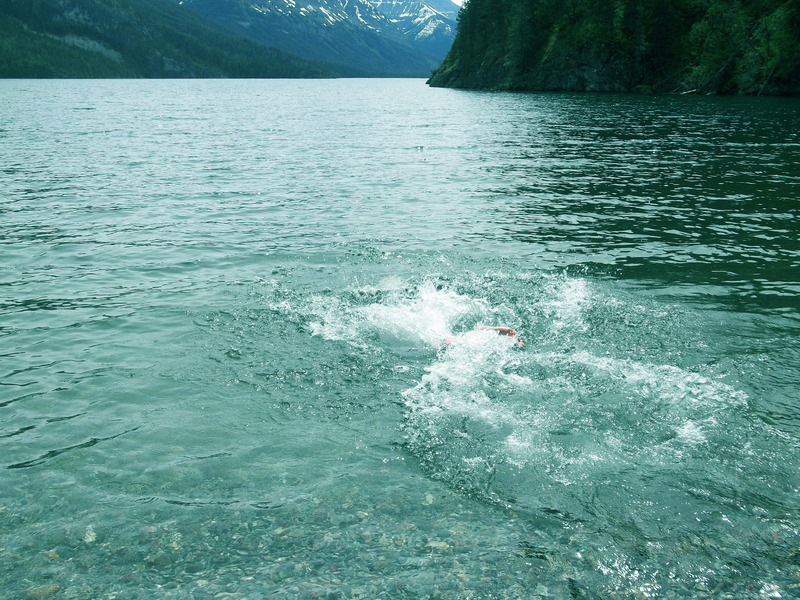 We couldn’t believe it had taken us so long when we barely stopped. 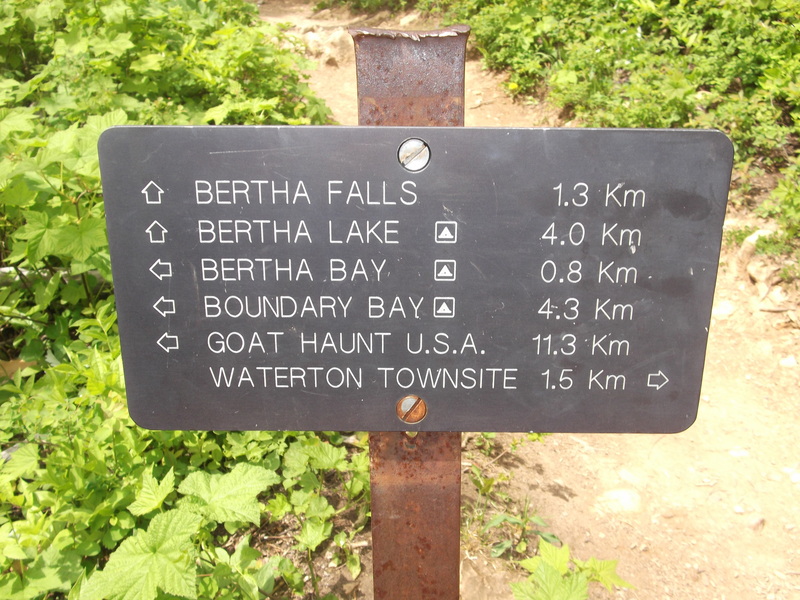 Then again, Goat Haunt was actually about 11km NOT 7km. oops! 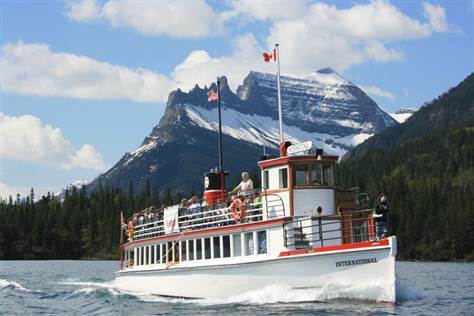 The Waterton Cruise boat was docked with tourists getting off to explore so we decided to go talk to them and see if we could hitch a ride. 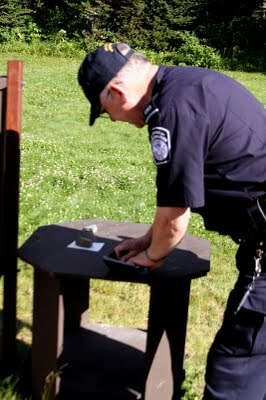 We told the Captain our dilemma and told him we could pay our fare after going to the car at the Bertha trail head and snagging our wallets. He let us and we took a leisurely ride up Waterton Lake back to Waterton. I was a little sticker shocked when I had to pay $48 for two one way tickets, but it was way better than hiking 11km back in the semi darkness. All in all, Goat Haunt is an AMAZING hike! 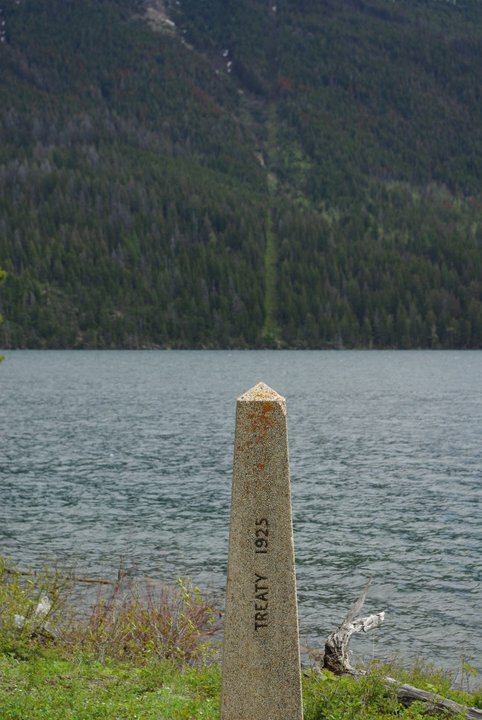 It’s not too challenging, elevation wise, but it is a good trek. 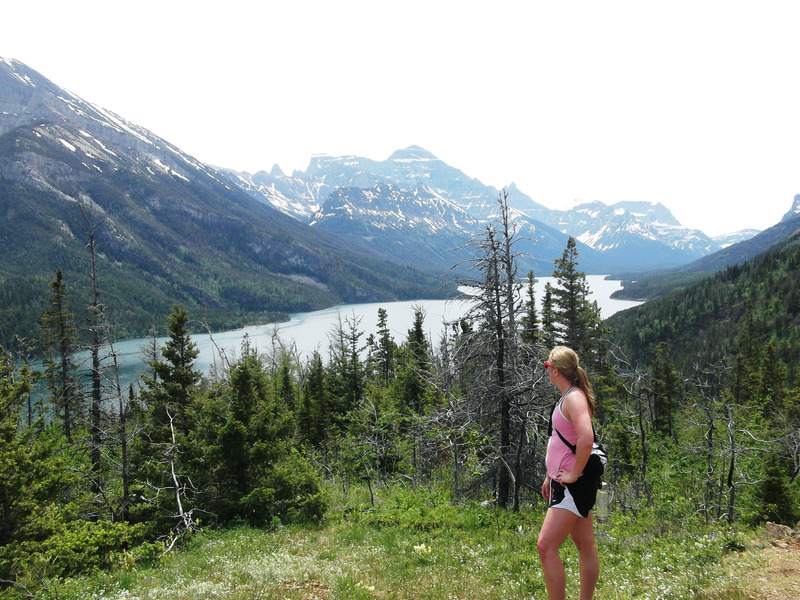 The scenery is stunning, the best of any hike I have done in Waterton yet. And I am definitely grabbing my boyfriend and making him do this hike with me, possible camping halfway through too just to extend the fun. I was in HEAVEN the whole day. It was 25, sunny, the forest smelled amazing, the birds were singing and I was away from my computer and out and about. A fantastic day off!